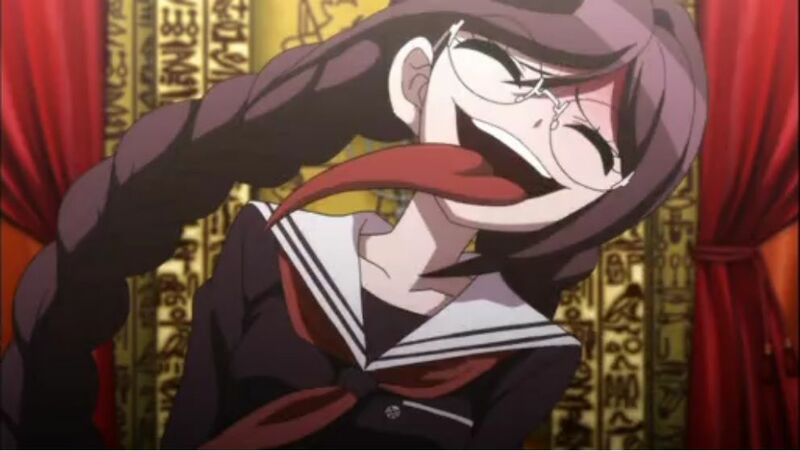 Fukawa as a character may have two amusing gimmick personalities, but the overlap between the two has seen fairly limited limited use. Using both Fukawa and Genocider to provide testimony for one segment was a somewhat innovative choice, though ultimately one that didn’t add much; they just swapped personalities and gave linear testimony. Still, the fact that she had a significant role in the crime scene made their testimony work better. What was funny was the abruptness of the sneeze that brought Syo onto the scene. In refreshing defiance of the obvious patterns the earlier mysteries had held to, the murder was not Aoi (the one trying to accuse everyone else, and visibly agitated when new evidence was presented) with the poison (that was specifically pointed out to her last episode) in the Nurse’s office. I like how Kishi Seiji hides important clues in plain sight by shots where they aren’t the primary focus, as he did with the glass underneath the protein shake this time around. Between that and Makoto Uezu’s attempts to obscure the narrative flow and prevent it from pointing to an obvious culprit early, this was probably the first well-told mystery in a show that’s previously stayed afloat using over-the-top atmosphere. 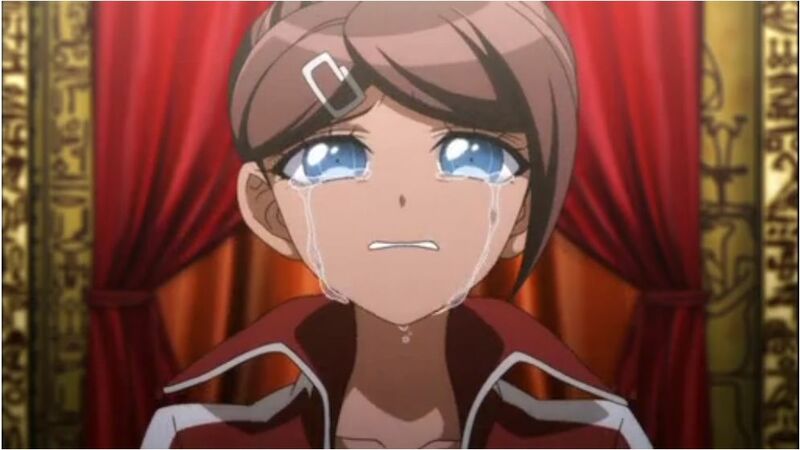 Not to mention that the character arcs for Aoi and Sakura took a nice dramatic turn. Both showed in different kinds of convictions they valued more than their own lives, with Aoi resolved to death and Sakura actually going there, that ought to be valuable emotional fuel now that they’ve been revealed to the rest of the cast. The way they ribbed each other afterwords felt more authentic than anything else they’ve done so far (though it probably helps that the most murderous students not named Syo are already gone). Monokuma’s will swap had a neat role in all that newfound camaraderie. The funnier part of the whole episode is that the team bonding was actually totally avoidable; had he not read the real will, things still may have been tense. Seeing Monokuma actually get frustrated was great, more so because it was his own mistake to make. When you think about it, this is the first time his plans to drive a wedge between everybody ultimately failed. He may be a charismatic villain with a lot of resources, but he’s by no means flawless, and that’s just really starting to show. That it’s happening in the endgame sets up a bad flow for him going forward. 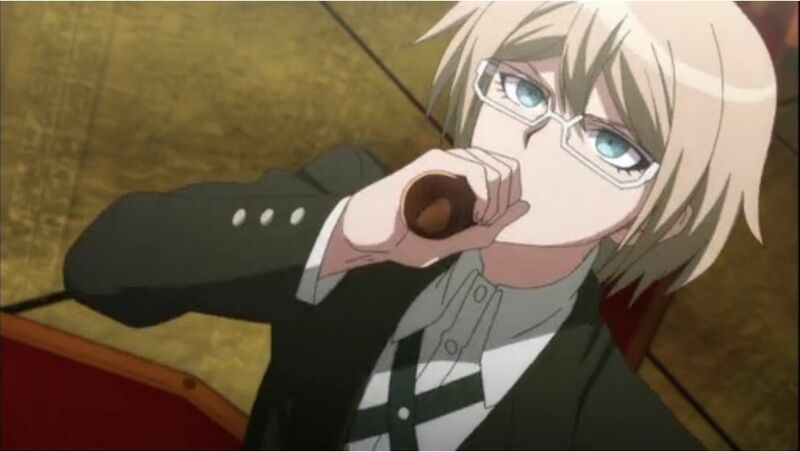 This entry was posted in Anime, Currently Following and tagged Anime, Dangan Ronpa, First Reactions, Hidden in Plain Sight, Kishi Seiji, Makoto Uezu, Summer 2013, Summer 2013 Anime, Team Bonding by torisunanohokori. Bookmark the permalink.